Over 150 of you joined us last week at County Hall to learn about all things eco and how to live a “One Planet” lifestyle. Did you know that Cardiff is a 3 planet city? That means that if everyone in the world used the earth’s natural resources as we do in Cardiff, we would need 3 planets to support us. We cannot keep doing this and it is not fair. For example, people in India use about half a planets worth of resources, while people in America use about 5 planets worth of resources. 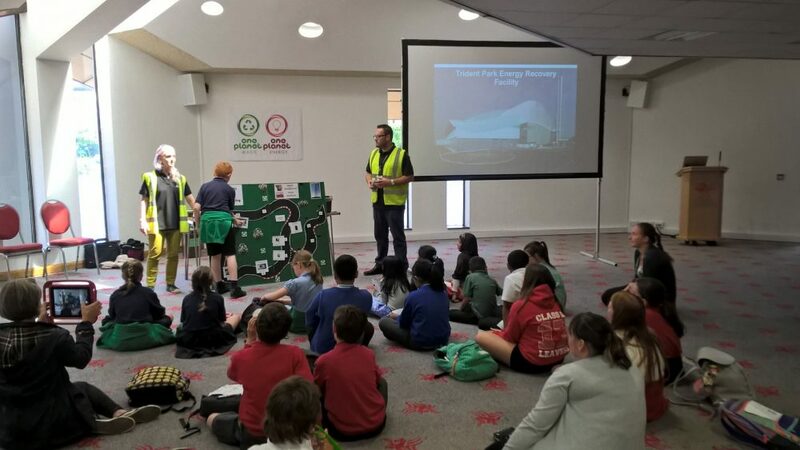 However, together we learned some tips and tricks to live in a more environmentally friendly way, with workshops covering sustainable travel, water conservation, biodiversity, recycling, energy from waste, Fairtrade and avoiding food waste.